Does raghuanand belong in this group? Does smileatheworld belong in this group? a place Interested in Buddhism for many years. 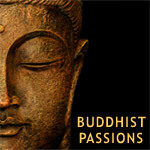 Buddhism Appreciation I'm not a Buddhist nor do I practice Buddhism, but I studied it extensively at university and use a lot of Buddhist concepts and influences in my writing. I greatly appreciate Buddhism.